Before I start my awesome interview, I've got a ton of winners to announce. Yay! Congrats! E-mail me your addresses within 48 hours or I'll have to pick another winner. 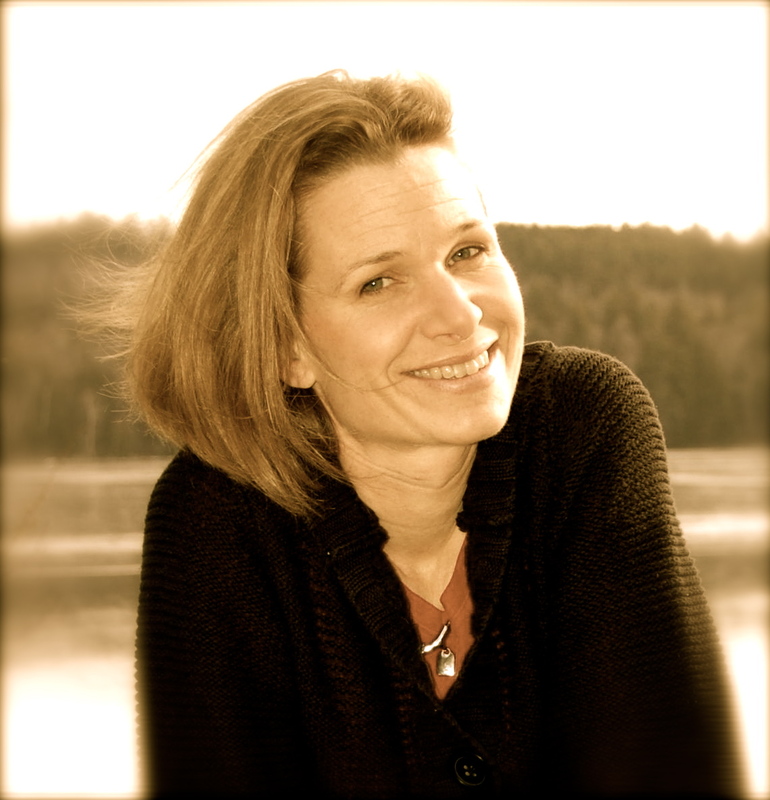 Today I’m excited to interview Laura Pauling, a blogger friend and one of our followers. She independently published her debut book A SPY LIKE ME that was released on May 7, 2012. I really enjoyed watching Savvy try to solve the mystery of what happened to her friend and her mother and get herself out of some of jams she got into while learning to be a spy. And it’s set in a fabulous setting—Paris. Seventeen-year-old Savvy Bent expects magic on her first date with Malcolm - in Paris! Except over a picnic of sparkling cider and strawberry tortes, he gets shot at. That's only the beginning. From the top of the Eiffel Tower to the depths of the catacombs, Savvy must sneak, deceive, and spy to save her family and friends and figure out whether Malcolm is one of the bad guys before she completely falls for him. A SPY LIKE ME is a cat and mouse adventure full of spies, a nefarious pastry chef, and a completely innocent teen girl. Well, not completely innocent. I started out being a spy…I mean teaching. I loved creating fun lesson plans and curriculum and I loved finding new ideas. Just like I always enjoyed planning the big birthday parties for my daughter. Before I started writing I got into scrapbooking - until I realized the expense involved. I dabbled in quilting. In other words, I always needed a creative outlet. I’d been writing on and off never taking it very seriously until I kept getting this feeling after reading a great book or watching a television show. I call it the desire for story. The next day I started writing more seriously. 2. Awesome that you're so creative in different ways. Your story is set in Paris and you do a great job of naturally showing us not only some of the well-known sites but also a feel of the city if you lived there. Have you been to Paris or did you rely on research in developing the setting? I wish I’d been to Paris. In high school, I studied French. I have so many good memories of that class. Poor teacher. We’d crack up at the ridiculous textbook stories we had to read. So I was drawn to Paris. But I did a lot of research: blogs, Google maps, YouTube. I loved the home videos people put up of the Eiffel Tower. The website of The Louvre really helped too. Necessary, but fun research. 3. YouTube isn't something I've heard of doing. But what a great idea. Savvy (what an interesting name BTW) is a complex character. She doesn’t want to be in Paris or help her dad with his spy business but becomes a reluctant spy when she becomes concerned about her missing friend. And she’s independent and not afraid to speak her mind. Tell us a bit about her character development and if there’s any part of you in her. I’m sure Savvy is a part of me. There’s a part of me in all my stories. I had a rocky relationship with my parents in high school, especially my dad. So family and working through those relationships is often present in my writing. 4. Let’s talk about Malcolm for a bit. He’s not the usual love interest that we always love. In fact I wanted to strangle him on more than one occasion. What were the challenges in making him likeable but not completely someone Savvy or the reader likes? I don’t mind the YA male hottie, the bad boy…etc. But that’s not usually the character I write. Malcolm deserves his own story for readers to understand what he’s dealing with as he tries to work with the fact that his family’s business isn’t exactly legal. He struggles like everyone else, like Savvy, trying to accept his family and figure out what’s going on. I love Malcolm because he’s a mystery; yet, he has a soft spot for Savvy, and she makes him question everything. 5. I like that he's different. And you've got me wanting to know more about him. Your story is a mystery and you’ve weaved a number of them into your story. That’s one of the things I enjoyed about it. Can you give us some tips on plotting out a mystery? Thanks! I love some kind of mystery in the stories I read and write. My biggest tip would be that nothing should be as it seems. I know that sounds simple but as a story progresses and new information is revealed, the earlier chapters should take on new meaning. 6. Savvy uses some techno techniques for finding clues, like the trackers and rappelling hooks. How did you come up with them and what research did you do to decide on them or do you have a detective background? My detective background includes reading and watching mysteries all the time. I love Castle. I loved LOST and all the unanswered questions and the incredible plotting. Part of the fun of writing a spy novel is the gadgets. And no, I’m not expert. Google is my friend. 7. Well unlike the rest of us, you've got a good excuse to watch TV. Okay here’s a big question. You decided to independently publish your story. I know from your blog that you always really think about things so I’m sure you did the same in deciding how to publish this. 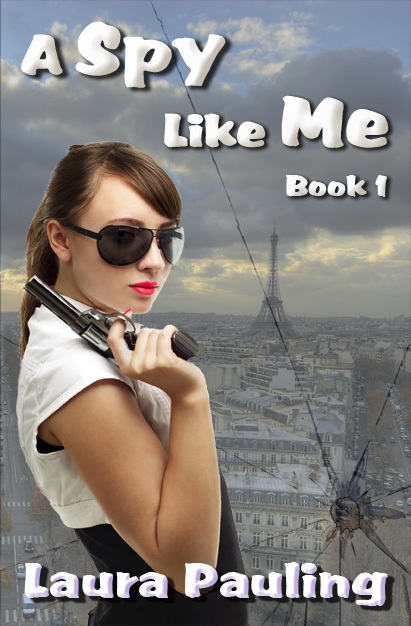 Tell us some of the considerations that went into your decision to independently publish A SPY LIKE ME and why you felt it was right for you. I was ready. I’d been writing for years. This wasn’t my first manuscript. I loved the idea of taking control. The process didn’t scare me - it excited me! But what really got me thinking was Nathan Bransford’s blog post when he stated that midlisters could make more money self publishing. The other big factor was the extremely low ebook royalties authors receive. But I’m a firm believer that writers have to make the decision based on their goals. There are many different routes to publishing and there is no one right way. 8. Yes, I like that there are options. How are you marketing your book and how you are reaching out to teen who would want to read your book? I sent out early review copies. I tried my best to raise pre-release awareness. I’m hosting a blog series of mystery authors. Social media. Short stories. I’m part of a group blog and we all promote each other. But I truly think that word of mouth is the best way. Marketing is endless and I’m sure I’ll learn a lot in the next couple years. In fact, my first short story, The Almost Assassin, written from Malcolm’s point of view is free on Smashwords and it includes an excerpt from A Spy Like Me. I’d love to reach teens but I’m not actively targeting them because that would require school visits and being in bookstores. Yes, they are on Facebook and Tumblr but I’m not going to go out and stalk them - creepy. If an author truly wants to reach teens and mainly teens, they should probably go the traditional route or think really hard about their marketing plan. 9. Great advice Laura. One of the things I’ve loved in watching your publication journey is that you continued to seek out different publishing avenues. You recently signed a book deal with a publisher for another book. Tell us about that. I signed with Pugalicious Press for my middle grade: How To Survive Ancient Spells and Crazy Kings. Bianca and her cousin endure a cursed 2,000-year-old Ancient May city to rescue their grandfather except he doesn’t want to be saved and the king wants to serve Biance up as an appetizer to the gods. But he’s met his match. I think the self-publishing market for middle grade is a hard one. But going with a small press is equally as hard because the marketing and promotion is about the same. I was impressed with Pugalicious and knew they would do a good job with my story. 10. I agree that it's harder to just have e-books for a middle grader. What are you working on now? I’m working on the sequel to A Spy Like Me and a series of short stories based on Savvy’s mom. Thanks so much, Natalie! I love Literary Rambles! Laura Pauling writes about spies, murder and mystery. A Spy Like Me, her YA debut novel is available now. Her short story, The Almost Assassin, appeared in the In His Eyes Anthology and is free as a re-release on Smashwords. Laura has generously offered one free copy of her book on Smashwords. Don't have a e-reader? No problem. I don't either but I've downloaded books onto my computer with no problem. And I enjoy reading them that way. All you need to do is be a follower (just click the follow button if you’re not a follower) and leave a comment by midnight on June 16th. I’ll announce the winner on June 18th. If your e-mail is not on Blogger, please list it in your comment. International entries are welcome. I'm so excited for Monday. I'm helping Elana Johnson celebrate the release of SURRENDER. It's one of the most awesome second books in a series that I've read. I'm giving away my ARC (only because I bought a book for my daughter and me. She loves it too and would not let me give it away otherwise). Guys, many of you know Elana so I hope you'll make a special effort to stop by and say hi and spread the word for her and about my contest. On Wednesday next week I'm interviewing Elle Strauss and giving away a copy of her YA time travel book LIKE CLOCKWORK. Then the following Monday, I'm interviewing debut author Jennifer Bosworth and giving away an ARC of STRUCK, another awesome dystopian book. Yay! Loved this interview and getting to know more about Laura! Congrats to Laura for tackling self-publishing, and thank you for sharing what you've learned so far. It sounds like you've done a lot of research and really took time and care with your books. Wishing you lots of continuing success! Loved the details behind your writing life and stories, Laura! The little tidbit I'm tucking away is this: Nothing should be as it seems and earlier chapter should mean something else later on. I think that's true for most writing. Even titles and book covers have a whole new meaning for me after reading the book. Barbara - Thanks! I agree that it's like that for any book. The cover, the title, the earlier chapters take on new meaning as the story progresses! And I can send the winner the epub version or mobi version through email too. I know that with Kindle you can forward the version to your free.kindle.com account. If you have an ereader device I can help with instructions on how to sideload from Smashwords if you're used to books appearing on your device. I won a free book last year and it took weeks to figure out how to get it on my Kindle before someone helped me out! Loved the interview and getting to know Laura. Congrats to all the winners. Yay, Laura! Just Yay! Love the book and the writer. :) Thanks for a great interview! My kids are always looking for great books to read and this sounds like I might like it as well. I didn't know that Nathan Bradsford said that about midlisters either...very interesting! I hope you sell lots and lots of copies and can go to Paris with the extra $, Laura! Kelly - I'd love to actually visit the places I write about! Julie - Thanks! I can't wait to see your journey take off too! Savvy's real name is Savannah I just never use it in the book. I made that change like a week before it was published! That has never happened before! Laura's answers to section one could have been me! I mean the only thing she didn't have listed that was about me was that I dabbled in oil and acrylic painting for a while...LOL! Congratulations on your book, Laura. Awesome interview ladies! I love hearing about authors' journey to publication. Laura is a great spy, er, teacher. Or I'm sure she was. I also need lessons on adding mystery to my books. I'm really not good at it. Awesome interview! Thanks for the giveaway! Great interview. There are soo many boy spy stories, it's nice to see a girl spy mc. I look forward to reading it. SPIES. My FAVORITE. Great interview, and thanks for the giveaway! Great interview. I LOVE spy books. I need to read this one. You guys have so many giveaways. It's truly amazing all that you do on this blog. Thanks so much for sharing. I have a soft spot for spy books! This sounds like a fun book. Any story that's set in Paris immediately captures my attention! And I just received my copy of Unravelling in the mail. Thank you so much - I can't wait to read it. Great interview! I enjoyed reading about Laura's process and why she decided to go the self-publishing route. Hope the marketing continues to go well! Great interview! I adore Laura. Like her, I've also used Youtube for research. It's a great resource. SPIES! Oh, I loved them ever since Alias and Ally carter's books! Lovely interview and I definitely going to read this book! Great interview - thanks! I love spy stories and so do my daughters! Thanks, Laura for being so generous and sharing what you've learned. Sounds great. Spy stories are interesting.